What's Your Favorite Season… for mystery? The coming start of summer got me thinking about what my favorite season was to set a mystery. I said summer and winter, but the answers from my fellow MissDemeanors have me rethinking. Here’s what they said: SUSAN BREEN: That’s such an interesting question, Cate. I’ve never thought about it, but as I look back on what I’ve written, I see that almost everything is set in spring. I’m probably paying more attention in spring because there’s so much happening with trees and woods and so on, and I am definitely in a more cheerful frame of mind. There also tend to be a lot of evocative or transitional moments in the spring: weddings, Mother’s Day, graduations and so if something disastrous happens, it’s that much more powerful. TRACEE De HAHN: I agree that this is an interesting question. I’ve taken advantage of weather- certainly a crippling winter storm was central to Swiss Vendetta- however I’m not sold on that season. I do think that the seasons are important to a book. People behave differently in extreme heat, or cold or rain or… Crime in the real world is impacted- so certainly it is in fiction. Think about what air conditioning did in the South, particularly in neighborhoods where people lived in close quarters. On the one hand, it moved people inside- perhaps hiding abuse and negligence that neighbors sharing porches to catch any drift of breeze would have seen. On the other hand, tempers that flared in the heat were cooled off. ROBIN STUART: There’s something about summer nights I love. The relief from the heat of the day, the stillness and solitude of later hours, that crisp snap of approaching dawn, any of which can add to tension or a moment of respite. Of course, since most of my stories are set in and around San Francisco, “summer” is actually September/October so judicious mention of the month is a hat tip to authenticity. D.A. BARTLEY: I love this question! I don’t have a favorite season, but I do think that the right season can help flavor a story. I had been struggling a bit with the beginning of the third Abish Taylor. I knew the outline of the story, who would live, who would die, and why. Still every morning, it was like pulling teeth until I wrote about the snow outside the first victim’s house. The moment I knew the season, all sorts of other unrelated details fell into place. 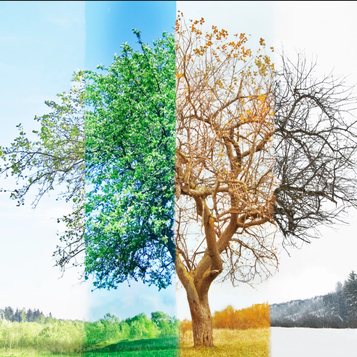 PAULA MUNIER: One of the reasons I love living in New England–and setting my mystery series here–so much is the fullness of the four seasons. A Borrowing of Bones is set in July, at the height of summer. The next, which I’m writing now, is set in the autumn, to be followed by a story set in the winter. Vermont, where my series is set, is so very different–but always beautiful!–in every season, and that gives me a lot to play with in terms of weather, townies vs. hikers/peepers/skiers/tourists, etc. C. MICHELE DORSEY: Without hesitation, I can say autumn brings a sense of commitment and renewal for me. I loved being a student, and later, a law professor. I think of “back to school” as the real new year. So when the leaves begin to turn and the air gets a little crispy, I’m ready to go inside, literally and figuratively, and tap into what the seasons before have been brewing. That’s when I start writing up a storm. What season do you enjoy reading or writing about most?